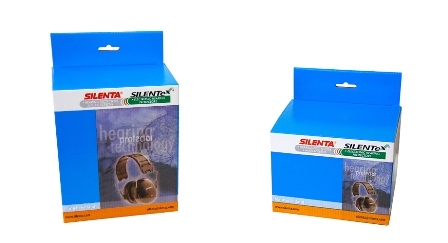 UK-based DS Smith has designed new packaging for the products of Finnish communication and hearing protection solutions provider, Silenta Group. Silenta has selected DS Smith for new packaging to raise brand awareness, increase sales and meet sustainability goals. The company has decided to create new flexible and suitable packaging for its products, as the 90% of firm’s products are exported to different markets across the globe. Based at one of its PackRight Centres, DS Smith’s graphic designer has created a new visual image for the packaging with new graphics and colour palette, enabling the product to look more effectively. The corrugated board used in the design has been colored with water soluble paints, in a bid to turn it recyclable and environmental friendly. According to DS Smith, Silenta has decided to go for new design to emphasise the quality and safety aspects of the product and maintain sustainability credentials with environmentally friendly materials. Silenta Group R&D manager Heikki Koponen said: “We tasked DS Smith with finding a solution which was eye-catching, sustainable and compact but also that helped raise brand awareness and ultimately, increase sales. In March, DS Smith opened a new PackRight Center in Oftringen, Switzerland, which is the firm’s 27th in European network. It will help in developing display and packaging concepts to reduce time-to-market while helping in increasing sales and reducing costs for customers. Image: The new packaging will help Silenta to raise brand awareness, increase sales and meet sustainability goals. Photo: courtesy of DS Smith.